Flexographic printers and converting operators are leveraging custom mandrels from MECA Solutions in their efforts to maximize quality and return on investment. MECA Solutions, which also produces high-quality plate cylinders and other precision parts, works with printing and web converting customers to develop mandrels for a variety of applications. MECA Solutions manufactures custom mandrels featuring a wide range of materials and journal configurations. The majority of mandrels are constructed of materials such as steel, aluminum and carbon fiber, along with additional customization features such as chrome or nickel plating, or air actuation. MECA Solutions has long been known for its expertise in carbon fiber construction, and that specialty has become more in demand as the price of carbon fiber products has decreased over the years. Carbon fiber’s lightweight properties produce less stress on motors and other machine components, and can even play a role in worker safety. 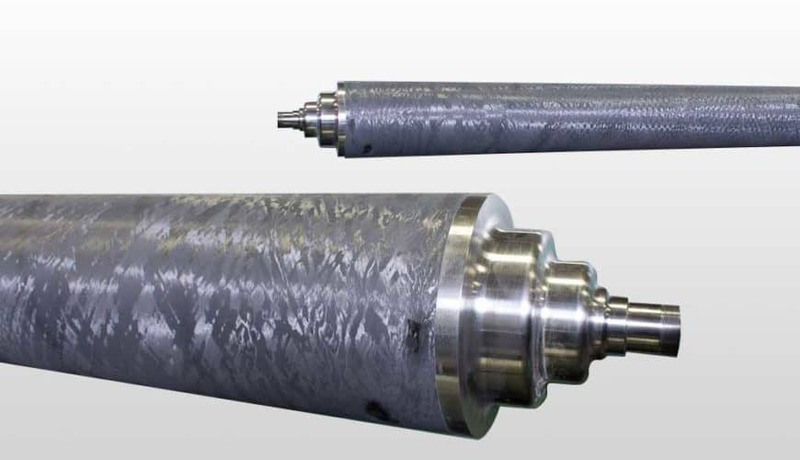 While they are easier to maneuver on the press, workers are also able to lift some smaller sizes of custom mandrels made of carbon fiber without using cranes or risking injury.